Miss the days of hours long marathons of Tetris, Pac-Man, or Space Invaders? Nostalgic for feeding your hard-earned quarters into arcade games as your friends gathered around to watch you try for a new record? Remember those sweaty, cramping, aching hands frozen in position on that shiny red joystick? We bet you 50 cents you do. Ion Audio and ThinkGeek have collaborated to adapt their popular iCade, designed for the iPad, to fit your iPhone. With the iCade Jr., you can take your newest most favorite-est toy, your iPhone, and turn it into your oldest most favorite-est toy, an arcade game. Designed specifically to fit your iPhone or iPod Touch, the iCade Jr., allows arcade-like game play of hundreds of games using that shiny red joystick and buttons. No quarters needed. Miniature playable arcade cabinet for your desk. Just add iPhone! It’s the iCade, scaled down! Numerous iOS developers have built in iCADE support. In all, over 150 apps have announced support for the iCADE standard. Official ION Documentation! – The team at ION has made their official iCADE Developers Resource available for download without an NDA and we’re please to offer it here as well! iCADE Developers Resource [PDF]. Stuart Carnie of manomio software has released an Open Source SDK for adding iCADE support to iOS apps. The open source iCADE SDK can be downloaded here. The Hardware Keyboard can be switched back to your language of choice by following these directions and choosing your language in Step 6. There is a ton of interesting iPhone and iOS-related Kickstarter projects popping up, so we decided to compile a list of a few that caught our eye recently. All of these products will of course first need to reach their funding goals before shipping, but several on the list below already did. There are a lot of interesting announcements this Sunday morning. Here is a rundown, but make sure to hit us with anything else you find in the comments below. From the makers of Doxie comes Shreddie, the portable document shredder. ThinkGeek gave us a glimpse at an upcoming iCADE controller mimicking the classic Nintendo controller layout and decorated with a retro 8-bit themed graphics. 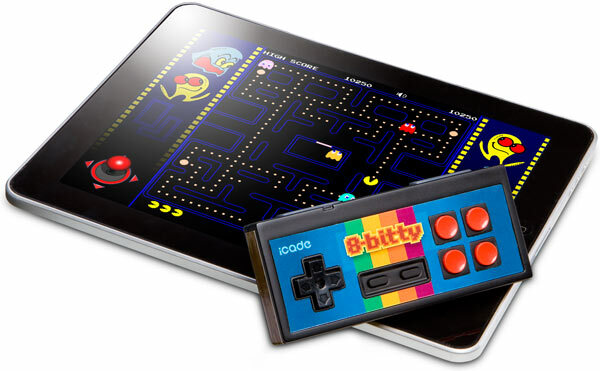 The “8-Bitty” is compatible with the iPhone, iPad, and iPod touch, connects over Bluetooth (two AAA batteries required), and is compatible with all iCADE supported games, including the Atari Classics collection. Unfortunately, you are going to have to wait until later this year when ThinkGeek starts selling them for $25. You can sign up now to be notified by email when it does become available. You will also want to keep your eyes out for three new iCade models we recently told you about during CES 2012. One of which is the iCade Mobile ($79.99) that is iPhone and iPod touch compatible, and it allows you to dock your device for a PSP-like handheld experience. That model and updated iPad arcade cabinets are expected to launch in the coming months. The iCade is an attachable accessory for the Apple iPad that functions as a portable arcade cabinet, but now the device’s manufacturer unveiled three new products under the popular line that toggle the iPhone and iPod Touch. ION Audio showcased the products at the 2012 Consumer Electronics Show in Las Vegas. The manufacturer recreated the original arcade setup by ditching the cabinet exterior in favor of landscape support. The first product is the iCade Mobile for iPhone 4/4S or iPod Touch. According to Engadget, it is a handheld with gaming buttons and a D-pad, which subsequently adds 1.5-inches onto each side of the iOS mobile device. The iCade Mobile also allows users to switch between portrait and landscape mode. ION said it expects about 100 games to be compatible with the product, and the retail price is currently set at $79.99 USD. Pictures for each new iCade product are displayed after the break. Remember that Thinkgeek iCade Arcade box that was ‘demo’ed on April Fools’ Day last year?? 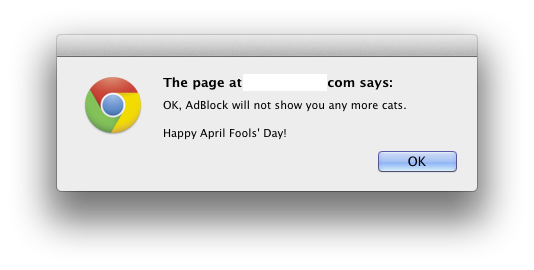 Well, it got such a warm reception, and frankly isn’t rocket science to create.